Welcome to another post on Operations Manager where I will cover SCOM 1807 upgrade steps. You can easily upgrade to SCOM 1807 if you have SCOM 1801 running in the setup. SCOM 1807 comes with exciting features and improvements over previous version i.e. SCOM 1801. In my previous post, I covered the steps to install Operations Manager version 1801. 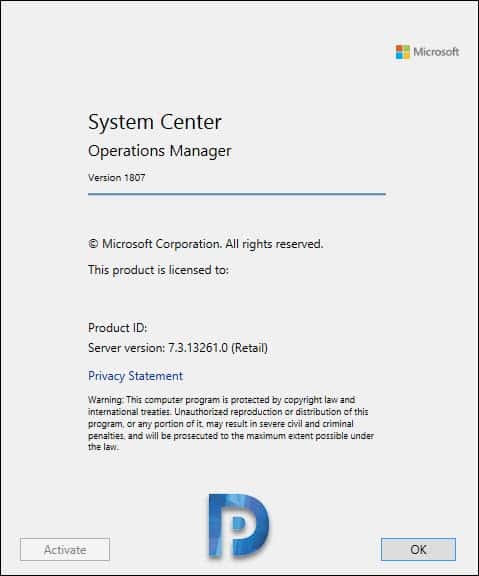 While writing the post I did mention that the latest Operations Manager version is 1807. To perform a successful upgrade of System Center Operations Manager version 1801 to 1807, you can go with either of two methods listed below. Which upgrade method is easy ?. – If you ask me, I would say first method i.e. using Windows Updates. It is definitely easy when you have all SCOM features installed on one server. Should I Upgrade SCOM 1801 to SCOM 1807 ? – While it is not mandatory that you have to upgrade to SCOM 1807 but it is always beneficial to use latest version of SCOM. You must have System Center Operations Manager, version 1801 installed before you install this update. In addition to the above features, there are much more new features. You can read more about it here. There is a sequential order in which you must 1807. Here is the article about it. In my lab setup, I installed all the SCOM features on a single server including the SQL server. Hence it might be easy for me to upgrade to SCOM 1807. However it is not the case with everyone, especially when you have SCOM features installed on different servers. Therefore ensure that you read the order in which updates needs to be installed. As I mentioned above, there are two ways to upgrade SCOM 1801 to 1807. Using windows updates or by manually downloading and installing updates from Microsoft Update Catalog. On the server running SCOM, open Control Panel. In the Windows Update window, select Check for updates. 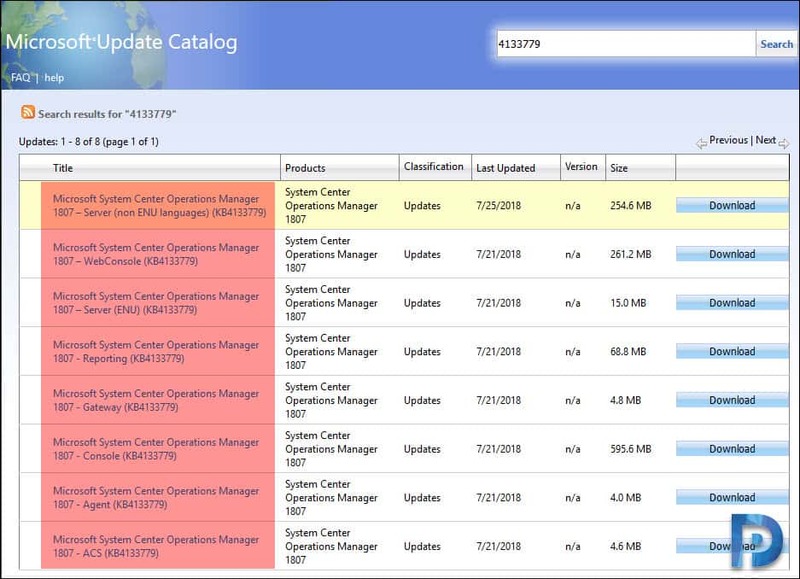 Under System Center Operations Manager 1807, select all the 4 updates. It is important that you select all the 4 updates under SCOM 1807. After installing the updates, you must reboot the server. Log in to SCOM server, launch Operations Console. On the top menu click Help > About. That should bring up the window that displays System Center Operations Manager version as 1807. The Server Version is 7.3.13261.0. Click OK to close the window. 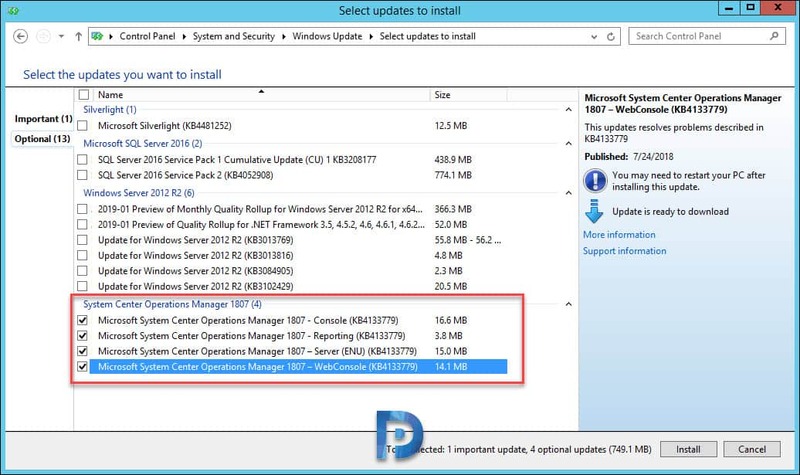 The second method to upgrade to Operations manager version 1807 is by manually downloading KB4133779 package. You can download the update package directly from Microsoft Update Catalog. Notice that the updates are available for different components. You need to download each update and install them in sequential order. In order to manually update Operations Manager Features, refer this article.